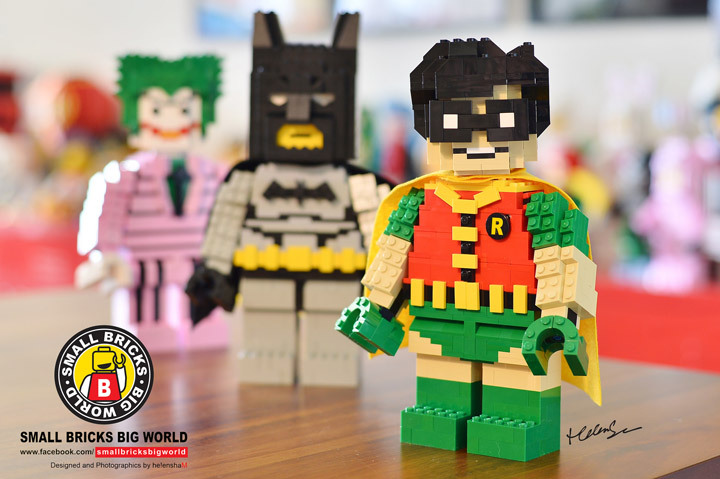 Helen Sham of Small Bricks Big World – 小積木 大世界 – has been building all sorts of Lego figures. 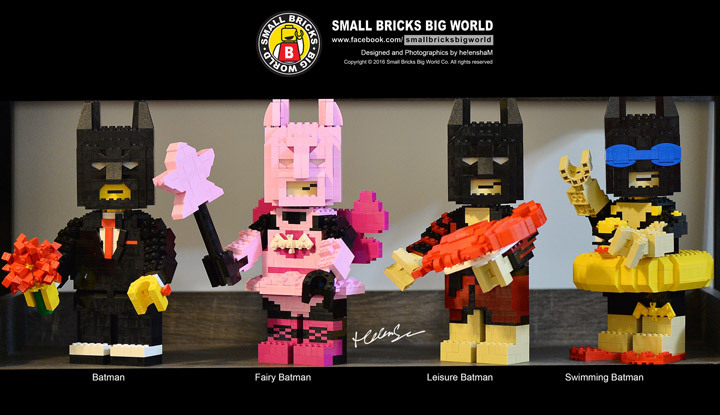 Recently she has been building Batmans. Lots and lots of Batmans. 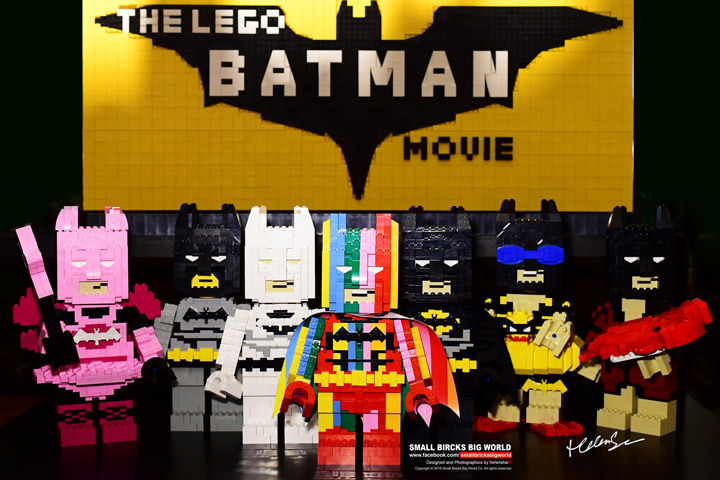 There are at least eight of them, including normal Batman, Rainbow Batman, the Lego Movie Batman, and Fairy Batman. These figures are big, and seem to have a decent amount of motion. Helen has also offered them up for sale, which you can contact her for more details (here). 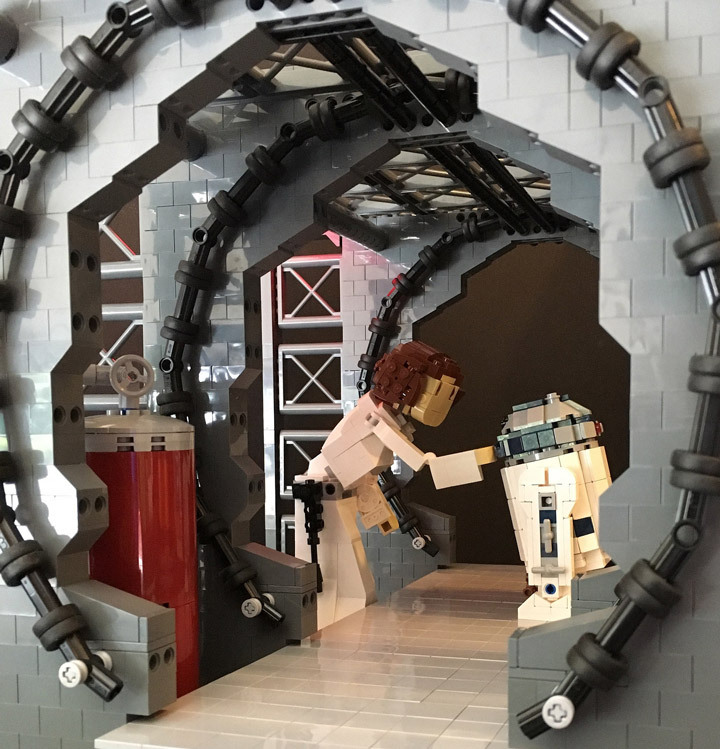 The best thing is that there are other big Lego figures. Including Robin and the Joker! Here is a Lego Star Wars collection of brick built figures based on Star Wars Episode IV: A New Hope. 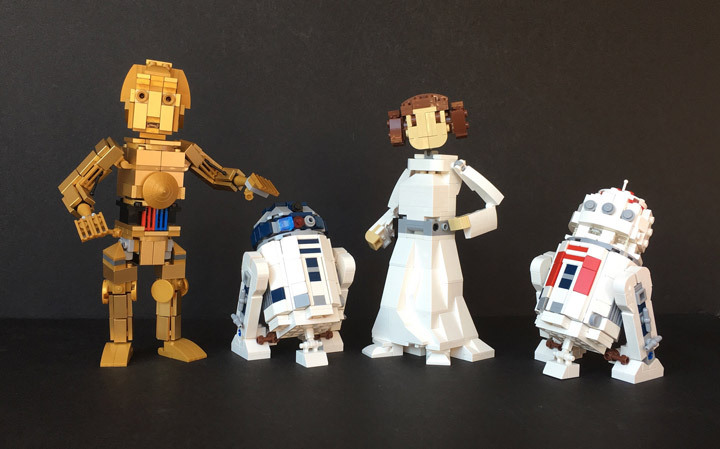 There is Princess Leia (the only human), R5-D4, R2-D2, and C-3PO. They are built mostly in scale with each other. 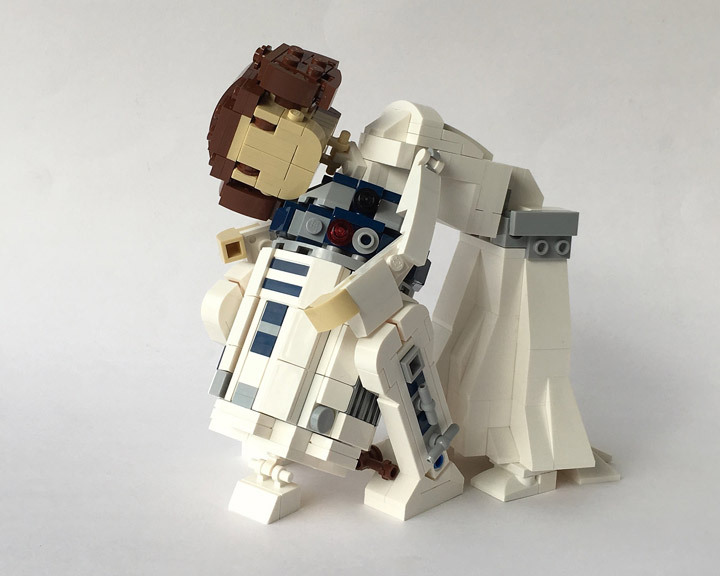 R2-D2 and R5-D4 are great little builds with a lot of character. In fact the R2-D2 reminds me of the new and rare R2-D2 polybag (30611) from Lego. C-3PO is a great build, and a lot of time went into making sure he was perfect. The key was finding all the correct gold pieces. The Lego vent pieces as the torso wiring is a great solution. Last but not least is Princess Leia. Her brick built figure has the famous hair buns, and is much more posable then she looks. Check out the photos below to see what she can do. A rather large set was also built of the space ship Tantive IV. Allowing a recreation of one of the most famous scenes in the series. 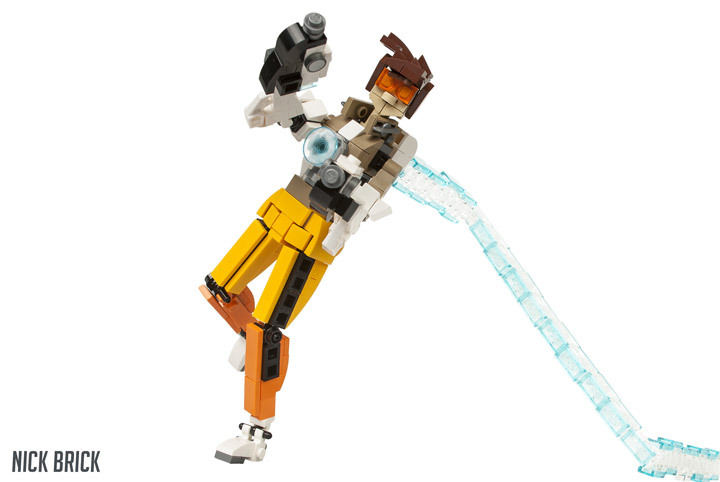 Tracer is easily the most recognizable character from the video game Overwatch. 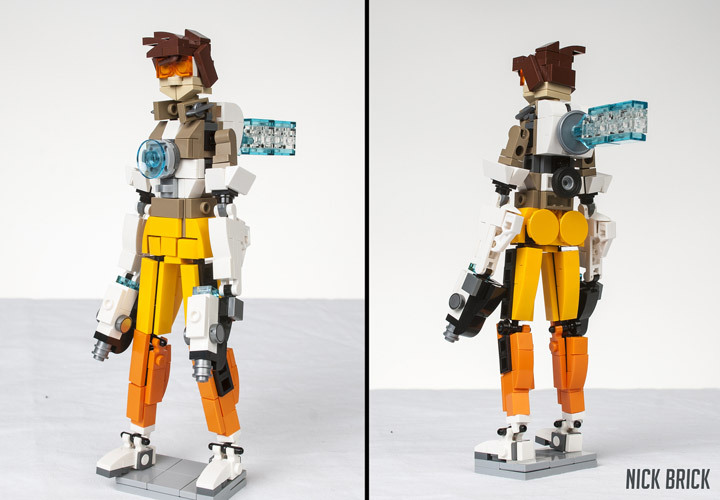 Nick Brick created a brick-built Lego figure of Tracer. I have a feeling she is not as fast as her digital version. There are some great details hidden in this “simple” looking MOC. Check out the tan Lego legs being used for shoulders, or the ice skate blades doubling as a jacket lapel. Other stuff stands out too, such as the various joints, the hair, and glasses. 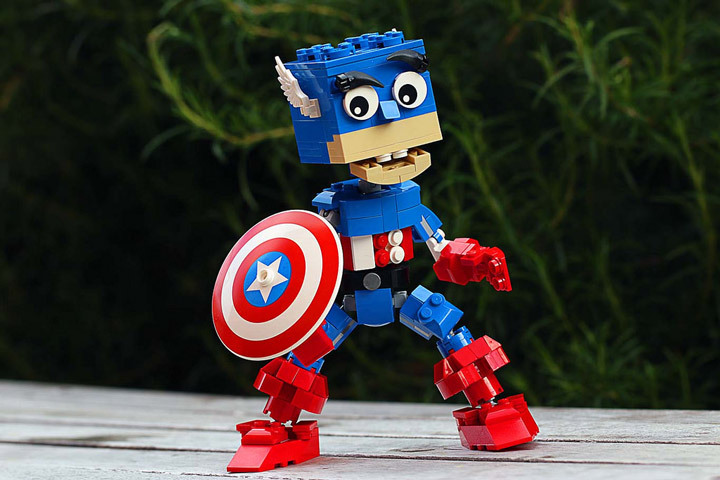 This Captain America brick built Lego figure is ready to bring justice to the world. The design is going for an older comic book style as opposed to the Marvel Cinematic Universe. The wings on the cap are perfect. Captain America is fully posable (like those new Star Wars figures). Even the eyebrows can be adjusted.